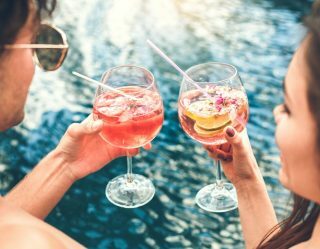 As the year comes to a close, the one thing we may all agree on is that 2017 has introduced “the new normal.” Forget how it’s supposed to be, this is how it is. Information and disinformation moves at the speed of light in a constant onslaught, spinning through your space like a tornado over and over again. It’s enough to drain and depress, if you allow yourself to get caught in its relentless grip. The best way to deal with things out of your control is to redirect your energy into what is within your purview. The things you read and surround yourself with can energize, uplift, inspire, enlighten, educate, and empower you. To that end, we may turn (even return) to books for solace, wisdom, and insight from those who have been here before and had the presence of mind to record their insights. Crave selects the 10 best art books of 2017, with an eye towards hope, justice, and understanding who we are and where we’ve been so that we know where we’re going for the sake of our own – as well as future generations. 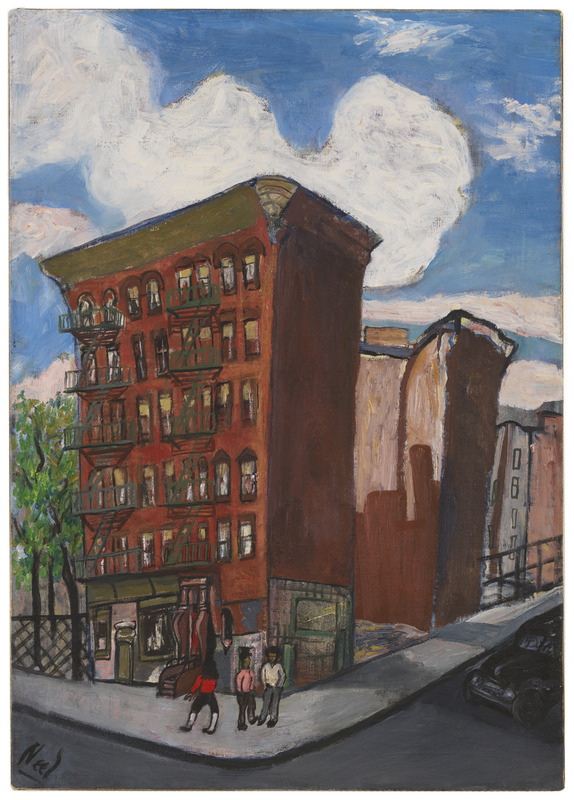 Alice Neel’s New York is disappearing—but it is not yet gone. It lives in the spirit and the souls of those who persevere against all odds. 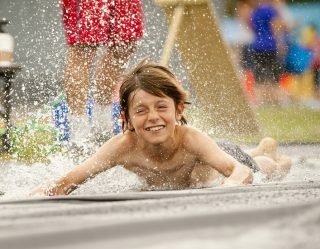 Like the artist herself, the New York she once loved was made up of people who triumphed over tragedy, trauma, and loss. Perhaps her personal struggles imbued her with a profound empathy to those she painted with exquisite sensitivity and feeling, capturing the depths of their humanity. 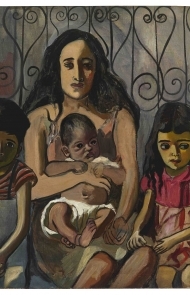 Alice Neel, Uptown (David Zwirner Books/Victoria Miro), authored by Pulitzer Prize winning critic Hilton Als, looks at the portraits the artist made while living in Spanish Harlem and the Upper West Side throughout the twentieth century. Here, Als masterfully curates a selection of works that speak to and of the collective human experience that was at the very heart of life in Old York. Her paintings speak joy and pain, love and loss, of the experiences and emotions that shape our lives from childhood to old age. 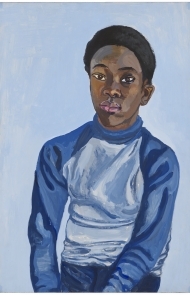 The paintings selected are a portrait not only of a people, but also of a place and time that is continuously fighting the systemic effects of marginalization—much like the artist herself. Read the full review. From 1978 to 1983, Club 57 was the place to be. Located in the basement of a Polish Church at 57 St. Marks Place, was conceived as a space for 1960s style “happenings” run by a curatorial staff that included film programmers Susan Hannaford and Tom Scully, exhibition organizer Keith Haring, and performance curator Ann Magnuson. As a no-budget venue with virtually on space between the performers and the audience, it became a laboratory for new modes of art, performance, fashion, music, and exhibition that helped push the downtown art world from Soho to the East Village during the 1980s. 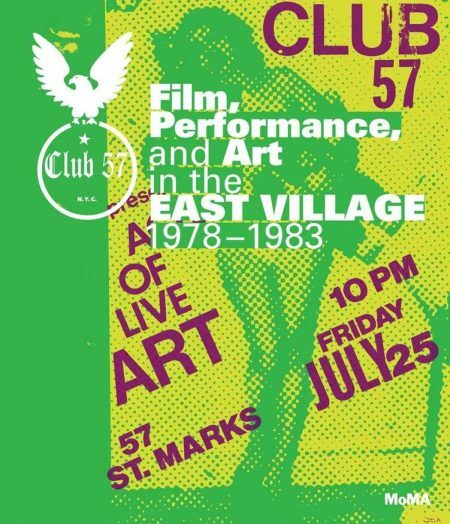 Now, in celebration of the little club that could, the Museum of Modern Art has created the stellar catalogue Club 57: Film, Performance, and Art in the East Village, 1978–1983 to accompany the exhibition of the same name now on view through April 1, 2018. The book is a phenomenal achievement in publishing, equal parts art and cultural history that features Crave faves Edo Bertoglio, James Nares, David Bowie, and David Wojnarowicz, among a host of 80s legends. Once upon a time, just a couple of decades ago, new albums used to be released on vinyl, which was carefully stored inside 12 x 12 inch record sleeves. In the days before video killed the radio star, all you’d have available was what you held in your hands. You’d pop the record on the turntable, drop the needle and then sit back, gazing upon the album cover searching for some sort of understanding. There was something profound about the simplicity of it all, the single image becoming an icon all its own. Sight and sound complemented each other, like yin and yang, striking the perfect balance of substance and style. Then, everything began to change. The record gave way to the CD and the image scaled down tremendously. But that was nothing compared to the current lay of the land, where the album cover appears as a thumbnail image in the upper half of our smart phone. If you missed it, c’est la vie. Times change, invariably. 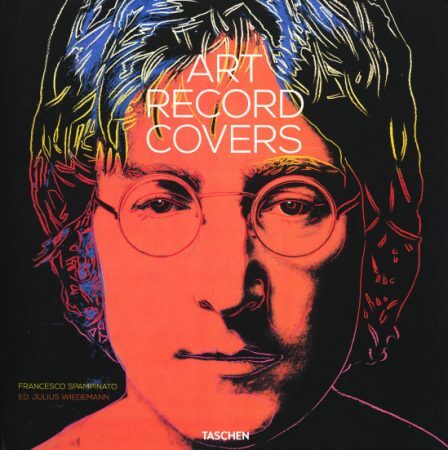 But if you miss it, and you want that good thing back, Taschen has just released Art Record Covers, a 448-page compendium of the finest collaborations between musicians and artists. Edited by Francesco Spampinato and Julius Wiedemann, the book is perfectly sized at 12 x 12 inches, capturing and recreating the visual impact each image once possessed. Read the full review. San Francisco in the early 1990s was covered by the shroud of death, as AIDS swept through the city, devastating a generation. Those who lived through the epidemic were forced to come to terms with the unthinkable: to carry on understanding the depths of the absence and the lives stolen from us. Artist Rex Ray (1956–2015) exhibited a piece at the final show at Kiki Gallery titled “Waiting for a Fax from Yoko,” which featured an unplugged fax machine set on a podium. Outside the gallery, Clifford Hengst sang as Yoko Ono, accompanied by Ray’s guitar feedback—and together they performed until the police came to shut the whole thing down. 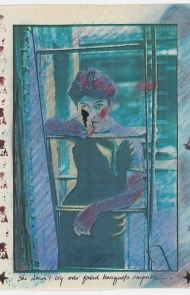 By the time of the performance, Ray had already been working as a graphic artist, trained before the advent of computer technology. He designed the first ACT UP! logo before they adopted the Gill Sans logo, “Silence = Death.” He abandoned the group when strangers arrived at the meetings talking about using bombs. Although his work was not overtly political, he understood the stakes and the forces at work. But he refused to abandon the importance of beauty, a central element no matter what he did. In celebration of Ray’s magnificent career, Gallery 16 in San Francisco, which represents the Rex Ray Estate, has just released Rex Ray: We Are All Made Of Light, a sumptuous monograph that chronicles the artist’s career. Read the full review. Glenn O’Brien (1947-2017) was a man of his times, yet always kept a step ahead, able to foresee where we were going—all the better to warn us of the inevitable. O’Brien had the foresight and the wisdom to see what would come to pass. Though he died earlier this year, he continues to be the prolific man of letters he always was, his final book, Like Art: Glenn O’Brien on Advertising (Karma), released posthumously. 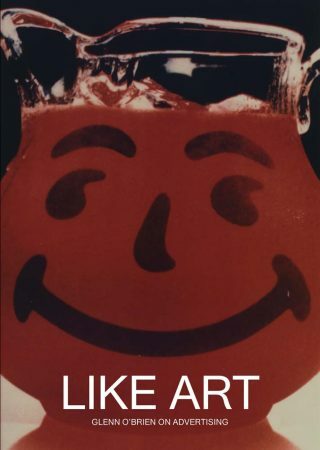 Between the years 1984 and 1990, the legendary writer, creative director, and downtown renegade maintained a column on advertising in Artforum magazine, laying bare his thoughts on the relationship between fine art and commercial work—for just as often as not, they are created by one and the same. Like Art presents 38 of O’Brien’s greatest hits, gently tearing away the masks of polite society in favor of truth. Read the full review. With the injunction on graven images fully in place, Islam developed a visual tradition rooted in literacy, giving its practitioners countless opportunities to read the writing on the walls. In this way, Islam maintains a powerful connection between the hand of the artist and the word itself, developing writing as an art all its own. 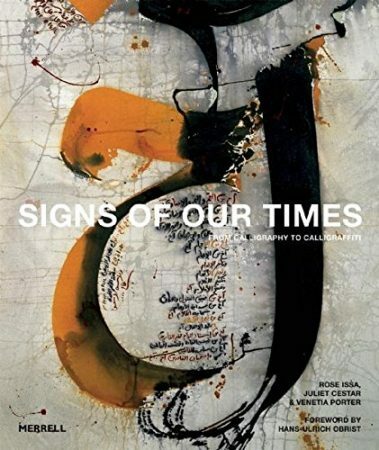 In celebration, Merrell Publishers presents Signs of Our Times: From Calligraphy to Caligraffiti, a glorious compendium of six decades of Arabic and Persian word art. Compiled by authors by Rose Issa, Juliet Cestar, and Venetia Porter, Signs of Our Times presents the work of more than 40 modern and contemporary artists who have revisited and revived the practice of Arabic and Persian calligraphy. Divided into three sections, the book examines at Innovation, Exploration, and Circumnavigation, looking at the ways in which Middle Eastern cultures have embraced the art of the word during the twentieth and twenty-first centuries. Read the full review. Picture it: Saturday afternoons in the late 1970s, on a train bound from Yale University to New York, artist Romare Bearden, jazz critic Albert Murray, and writer Henry Louis Gates , Jr. are bound in deep conversation, pontificating on the nature of jazz – not just as a form of music, but as a fundamental expression of the African-American vernacular. Jazz is not just a sound: it is a state of mind, a way of being, and seeing the relationship between the self and the world. Now imagine that conversation found its way into a book and took form in a conversation of the visual arts. 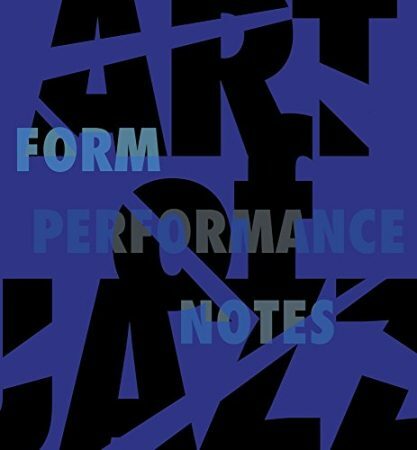 Art of Jazz: Form / Performance / Notes (Harvard University Press), edited by Edited by David Bindman, Suzanne Preston Blier, and Vera Ingrid Grant looks at jazz through the eyes of artists including Bearden, Stuart Davis, Carl Van Vechten, Archibald Motley, Andy Warhol, Henri Matisse, Jackson Pollock, Hugh Bell, Josef Albers, and Ming Smith along with a host of other artists who collaborated with musicians to create a look for America’s great art form. 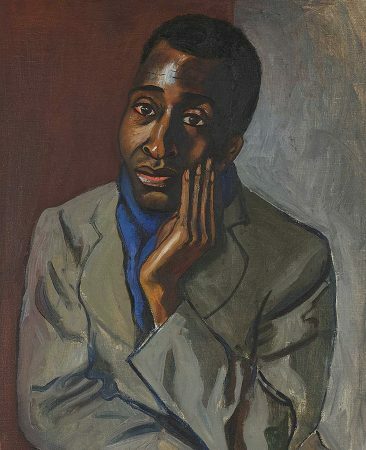 The self-styled “7th Prince of the West Indies, Lord of Follies and the Ding-a-Ding Nook” Frank Walter lived as he wished, creating a collection of paintings and sculptures in which he was free to explore any ideas, themes, or subjects that crossed his path. 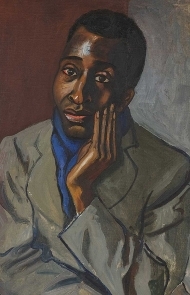 A native of Antigua, Walter’s contributions to twentieth century art have largely been overlooked, until now. 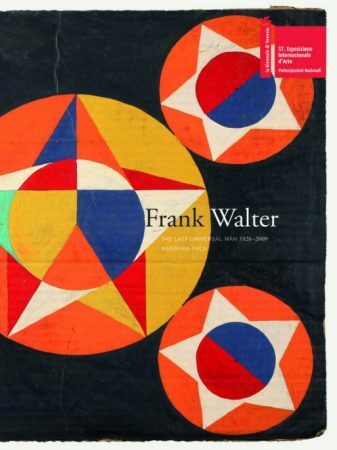 Frank Walter: The Last Universal Man, 1926-2009 by Barbara Paca, Ph.D. (Radius) is a publishing feat, beautifully cataloguing the artist’s work in a manner that is both deeply considered and exquisitely realized. The density of a single work by Walter is so intense that you might be unable to look away, and simply forget to turn the page. A prolific writer whose archive includes some 25,000 pages of text, the book reproduces a carefully edited selection to accompany the artworks, taking the experience to new heights and profound depths. The Last Universal Man is a masterpiece to be savored slowly, again and again. What did the creatures of the prehistoric past look like? It’s a question that has fascinated humankind ever since fossils emerged from the ground, bearing witness to a majesty we have never seen before. In 1830, British scientist Henry De la Beche was the first to give the creatures of the past shape, color, and form, creating the very first work of paleoart and inventing a genre that would take the world by storm. 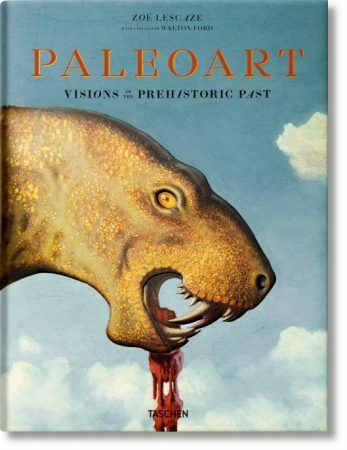 Now, in celebration, Taschen introduces Paleoart. 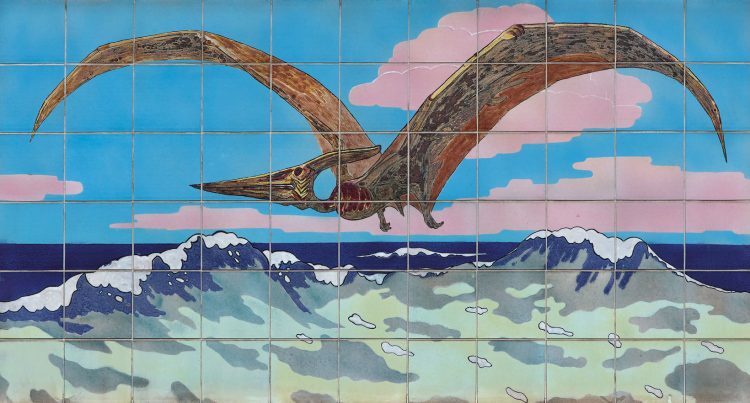 Visions of the Prehistoric Past by writer Zoë Lescaze and artist Walton Ford, a sumptuous look back at 160 years of art. 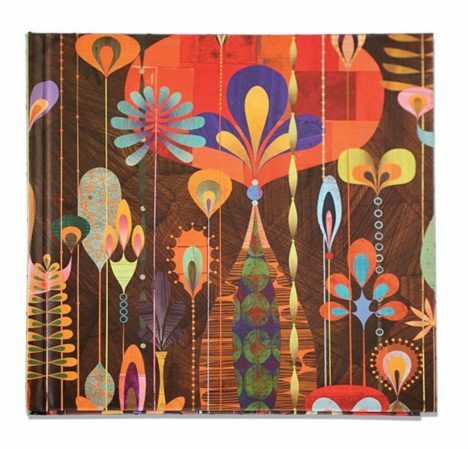 The book features paintings, prints, drawings, sculpture, mosaics, and murals made between 1930 and 1990 that mix science and science fiction with complete and utter glee. Within the genre we see the influence of the larger art world of the times, from Romanticism and Impressionism to Fauvism and Art Nouveau. Paleoart seamlessly combines elements of fine art, science, fantasy, and pop culture to stunning effect, reminding many of us that our first true love was dinosaur books as a kid. From ancient times to the present day, the universe beyond planet earth has always captivated the human imagination. Long before we had the capacity to launch satellites into outer space, people have charted the planets and the stars in an effort to understand the nature of existence that lies beyond our grasp. For more than 17,000 years the subject of outer space has been a space for the investigation of scientific, symbolic, religious, spiritual, and aesthetic discourse. 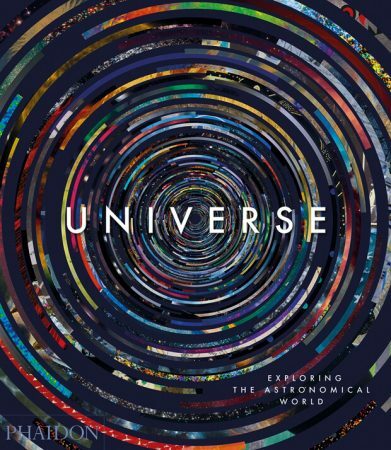 Universe: Exploring the Astronomical World (Phaidon) is a groundbreaking survey that looks at the ways people have studied astronomy throughout time and space. For the book an international panel of experts have selected 300 classic works by renowned photographers, artists, and astronomers alongside previously unpublished finds that provide a breathtaking look at what lies beyond earth. From ancient cave paintings to NASA photographs, Universe features iconic images by everyone from Galileo, Nicolaus Copernicus, and Isaac Newton to Yayoi Kusama, Pablo Picasso, and Wolfgang Tillmans. This book is perfect for anyone interested in the spaces where technology, science, anthropology, and art intersect, revealing the profound human desire to make sense of the vast mysteries of the cosmos.